Home Adaptations Are Possums Dangerous to Humans or Dogs? 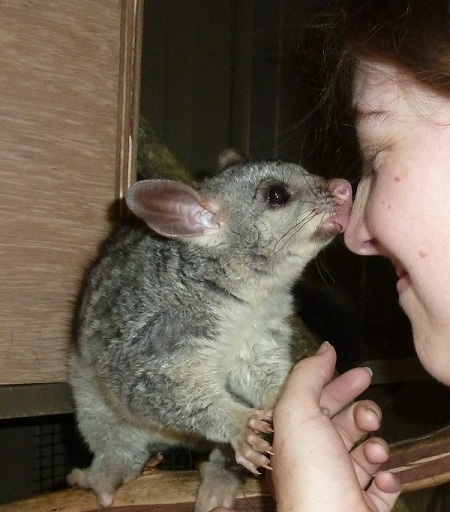 In this article we are going to study how possums are dangerous to your pets or even humans. 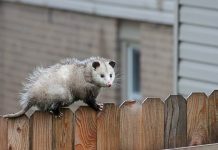 Although possums aren’t really threatening to humans in a way that they don’t bite like snakes do, they do however cause reasonable problems if they are found in your backyard gardens. For instance, possums likely possess zoetic diseases which can be transferred to you if you happen to step on possum’s poop although chances are still remote. Let’s find out more about this. Very few people know that possums’ poops carry zoetic diseases which can be easily transferred to the one who steps on it. Therefore, if you feel like there are several possums inhabiting your garden, better stay away from them and also keep your children inside before you step on the poop bare feet. Also, the possum’s diseases are most likely to be transmitted to the horses only if they step on possum’s poop. Although they are less likely to carry rabies, possums have the ability to transmit diseases to your pets. These diseases include tuberculosis, leptospirosis, tularemia, spotted fever, and coccidiosis. Opossums have 50 sharp teeth. No other North American land mammal possesses that many numbers of teeth. Although they do not usually bite, possums can actually bite you if they feel like they are cornered or provoked. Possums are known to produce foul smell which is probably one of many adaptations they employ as a defense. Do not get too close to them particularly when they are threatened. Possums emit rotten smell that likely lasts 45 minutes. 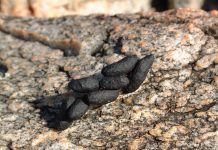 Not only does the foul smell floods the area with the disgusting odor, it sends an invitation to nearby scavengers—rendering your pets redundant. Are Possums Dangerous to Dogs and Cats? Opossums typically do not attack your pets even if they are provoked. The possum’s attack is probably their last line of defense against predators. If your dog or cat attempts to provoke a possum or teases it somehow, the possum may not attack your dog straightaway because it’s a docile creature. However, if your dog continues to provoke a possum then it’ll probably play dead in the first place but if it doesn’t then the chances are that possum might bite your cat or a dog. If that is so, then possums are certainly dangerous to your pets. But usually they will not harm your pet. Possums are more likely to feel vulnerable when they are alone as compared to in groups. Therefore, if your pet attempts to reach for the possum then it will probably react strongly although possums prefer to get away with any confrontation. Possums are most likely to bite puppies or kittens. Unlike adult dogs, possums aren’t really scared of puppies. Thus they become aggressive against puppies and they also produce loud noise to scare its opponent. 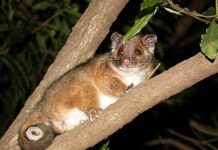 When in groups, possums actively defend themselves against dogs or cats. What Do Possums Do When they are Threatened? Possums are thought to play dead whenever they see any predator nearby. Although people usually believe that it’s a myth however, researchers have actually witnessed possums playing dead particularly when they see human. Studies suggest that this particular possum’s reaction isn’t really triggered deliberately. That is to say that sometimes possum had to play dead even though it didn’t want to. The reaction is triggered automatically within the brain in order to paralyze the animal in danger.